Show your devotion to the Aeon cult. Here's a quick video guide explaining how to get Aeon gear in Destiny 2: Curse of Osiris. 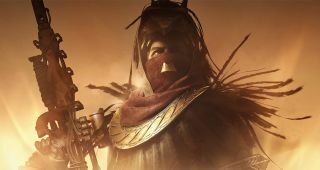 Aeon exotic armour pieces are particularly special exotics in Destiny 2's Curse of Osiris expansion. If multiple fireteam members are wearing them you'll get a stacking group buff that varies depending on your class. If you love to Strike with some regular friends Aeon items can be a big help, plus co-ordinating your outfits to better fight alien monsters is a very Destiny thing to do.